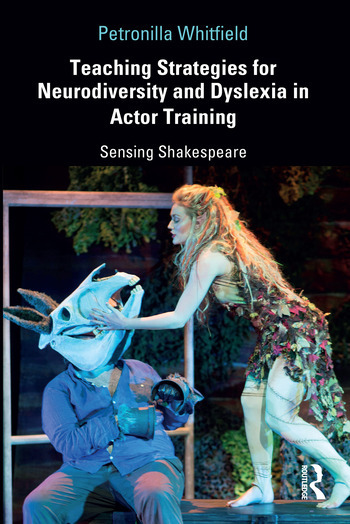 Teaching Strategies for Neurodiversity and Dyslexia in Actor Training addresses some of the challenges met by acting students with dyslexia and highlights the abilities demonstrated by individuals with specific learning differences in actor training. This book is a valuable resource for voice and actor training, professional performance, and for those who are curious about emancipatory methods that support difference through humanistic teaching philosophies. Dr. Petronilla Whitfield is Associate Professor in Voice and Acting at the Arts University Bournemouth UK. She holds a PhD in Arts Pedagogy from Warwick University and an MA in Voice Studies from the Royal Central School of Speech and Drama. Trained originally as an actor at Arts Educational Schools, she was a professional actor for twenty years. She has taught voice and acting at leading British actor training institutions and universities for eighteen years.